Operate a fleet of cars ,estates, 6-seater and 8-seater vehicles around East Midlands Airport.We do contract work,hotel transfers,airport transfers,East Midlands train station transfers and normal private hire service from Allenton to Kegwoth.All national routes covered from East Midlanda Airport and Parkway Train Station. With a 24/7 service on offer, you can rely upon Village Cars to help you any time of the day or night, whether you missed the last bus into work, or you have caught the last train home, the team at Derby's Village Cars can help you. With their computer booking and dispatch system, you can ensure your request for a taxis close-by will not go amiss, as all cars are fitted with GPS tracking and satellite navigation. In addition, you will receive a text once your car or minibus arrives. Village cars have been in business for over six years and with a fleet of twenty-five vehicles, ranging from saloons to mini-buses (eight-seater.) 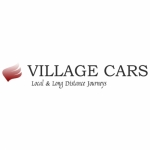 Serving South Derby and East Midlands Airport and the surrounding areas, the team at Village Cars have established fantastic business relationships with hotels, commercial services, and transport contractors such as East Midlands Parkway Train Station, due their commitment, and reliability. With such excellent contracts, you can be confident Village Cars are both professional and cost-effective. Call the number above to book a taxi.